LaToria W. Thomas (“Tori”) joins the United Way of Northwest Louisiana as Vice President of Resource Development. 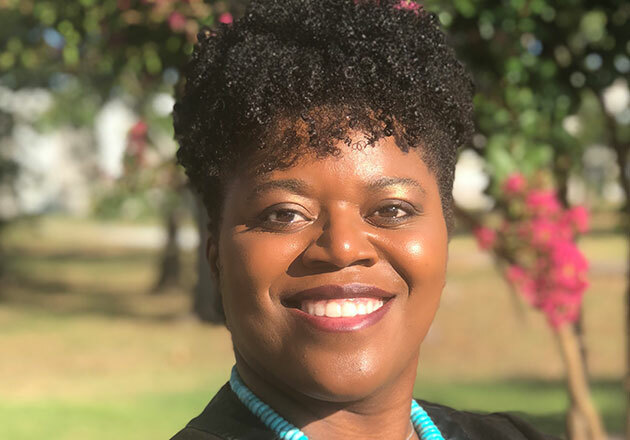 Tori, a Shreveport native, brings a diverse background of nonprofit leadership including work in foundations and grant making organizations, fundraising, program development and management. Tori graduated with her Bachelor of Science in Mathematics from Northwestern State University. After graduating, she started her nonprofit career at Shreveport Green as an AmeriCorps Crew Leader. She then relocated to New Orleans to assist with the Greater New Orleans Foundation’s rebuilding efforts after Hurricanes Katrina and Rita. She later served as the community specialist and program analyst for the AARP Foundation, the charitable affiliate of AARP that serves the vulnerable people 50 and older by creating and advancing solutions that help them build economic opportunity and social connectedness. She’s also served as an Executive Director for Dress for Success New Orleans and as the donor services officer for the Baton Rouge Area Foundation, where she managed 19 national and local scholarships. Tori is the founder of Emerging Philanthropists in New Orleans, a giving circle for young professionals. She has served on the boards of the Committee for a Better New Orleans/Metropolitan Area Commission, Young Leadership Council and Forum 35. She was selected as a Connecting Leaders Fellows for the Association of Black Foundation Executives. In 2017, Tori and her husband, Bobby, relocated back to Shreveport to raise their son, Daniel, closer to family.